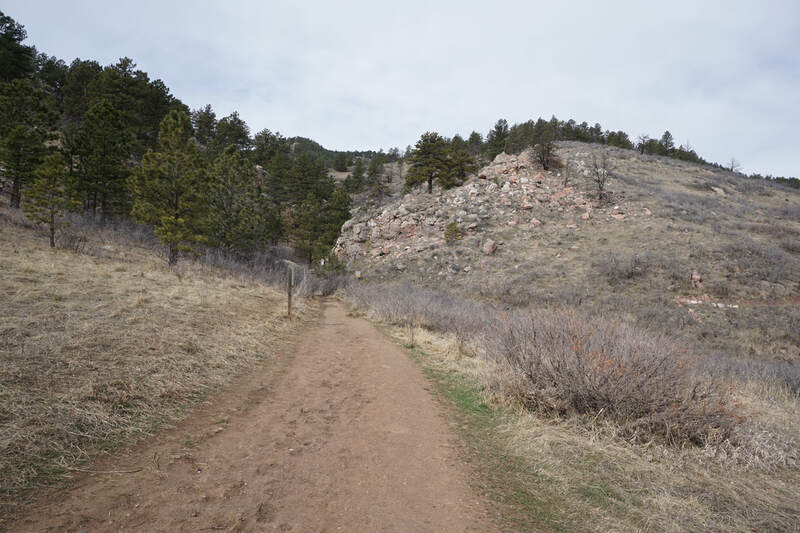 Directions: From I-25, exit at Harmony Road and head west all the way to the foothills. 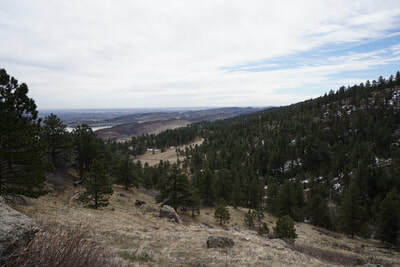 After Taft Hill Road, Harmony Road becomes County Road 38 E, continue straight and head up to Horsetooth Reservoir. At the Reservoir, turn right (north) onto Centennial Drive/CO Rd 23. Follow this road north, following Horsetooth Reservoir and turn right at the intersection about half way. 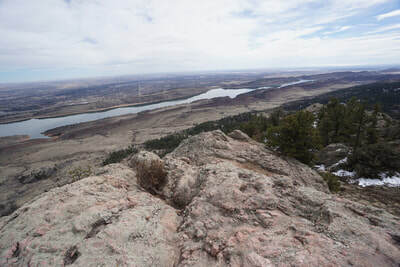 Continue north to the end of the Reservoir and Turn left at the sign for Lory State Park onto Co Rd 25G. 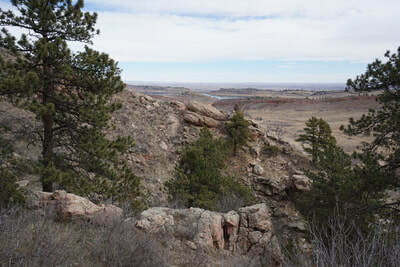 Co Rd 25 G turns to the south and soon arrives at Lory State Park. 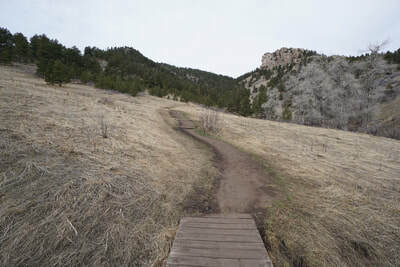 Enter Lory State Park and follow the main road (good dirt road) all the way to the end of the road and the TH for Arthur's Rock. 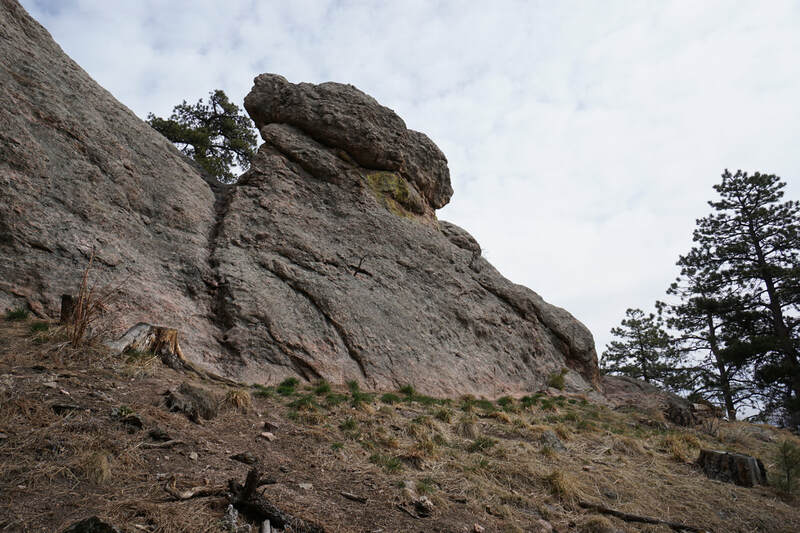 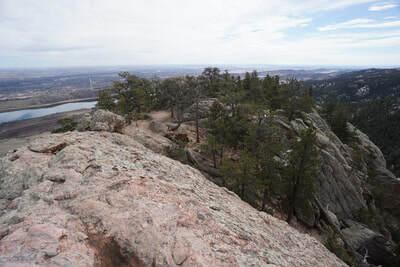 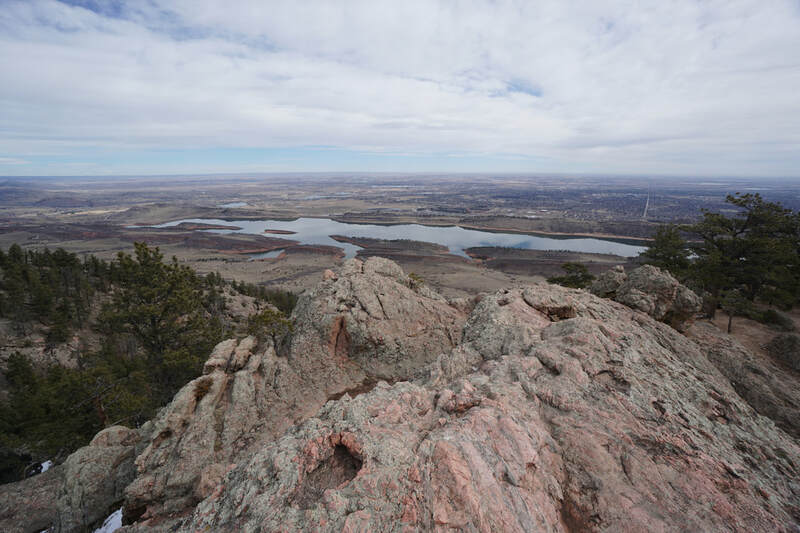 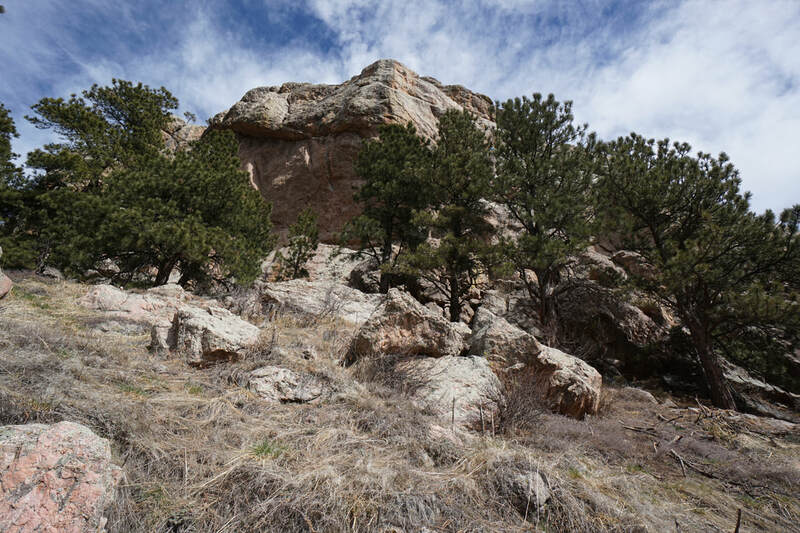 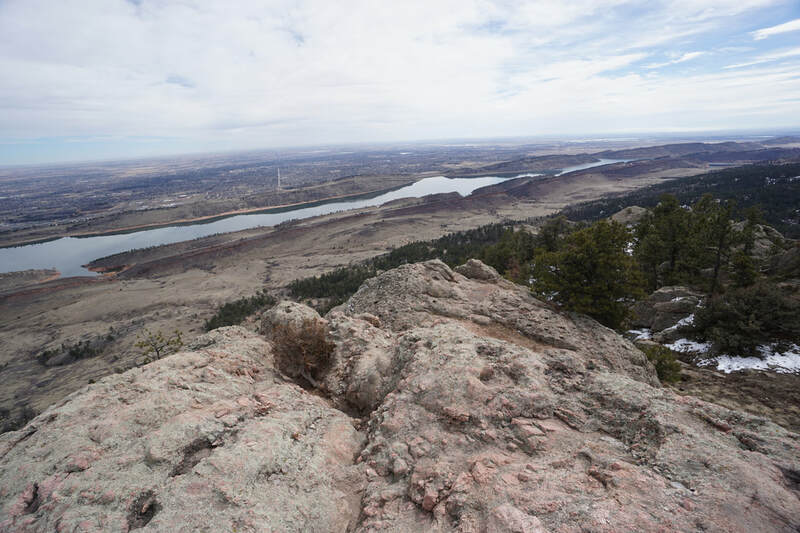 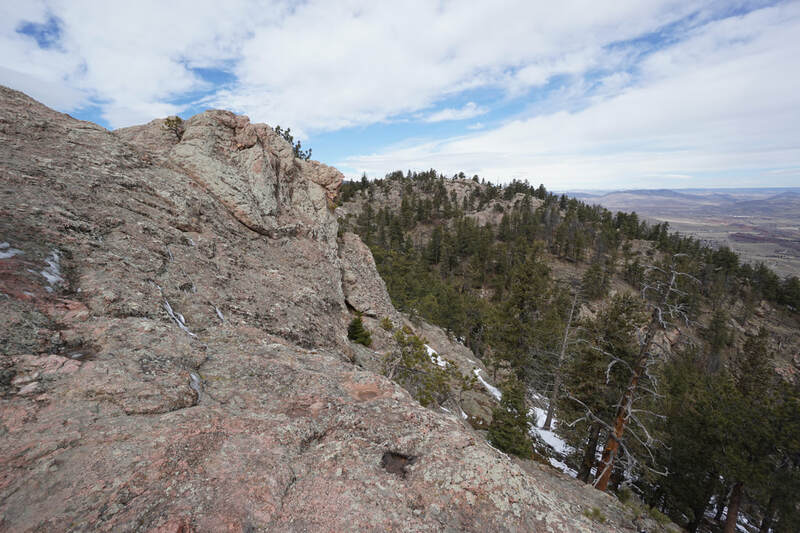 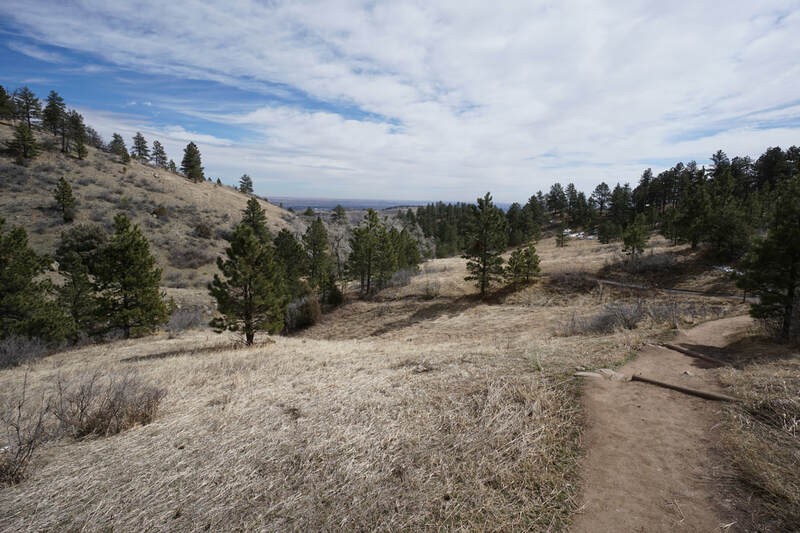 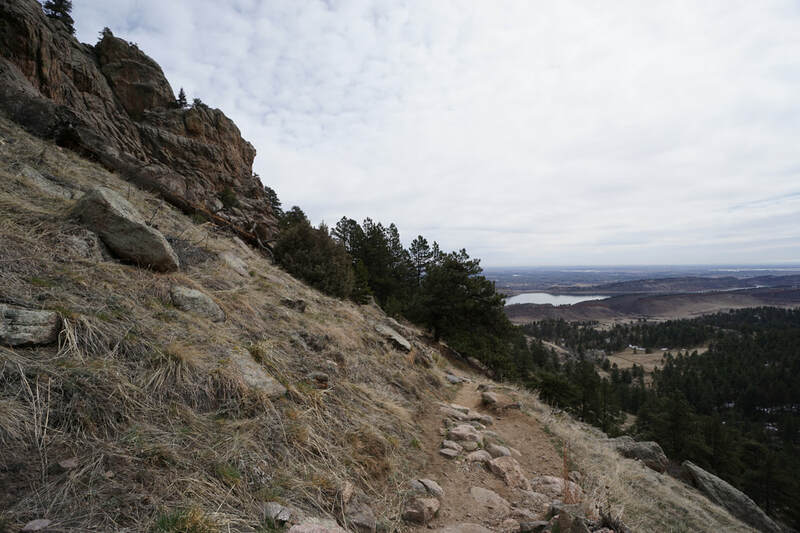 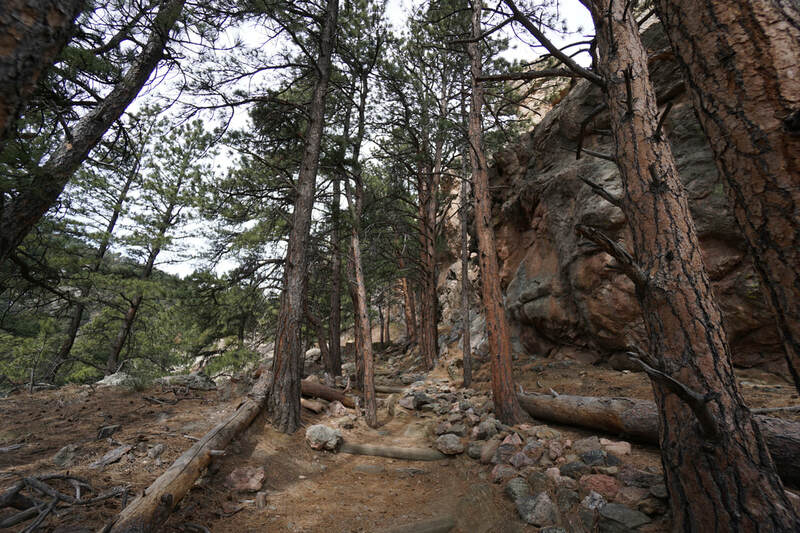 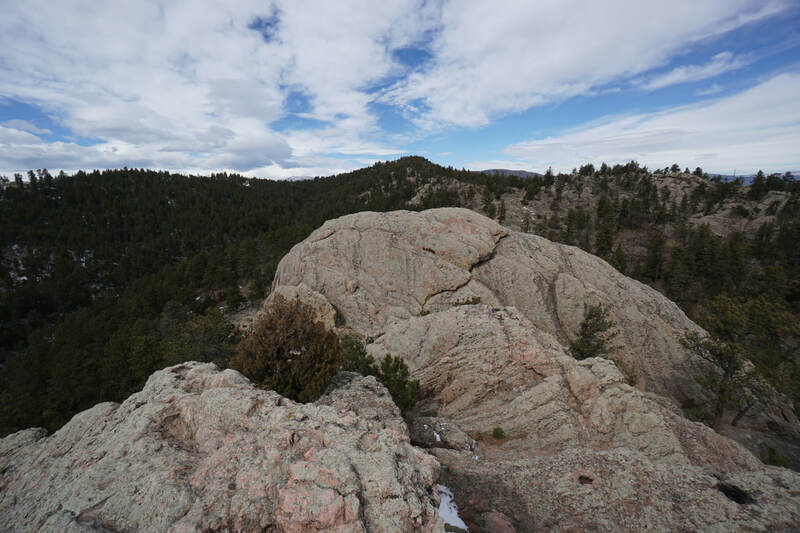 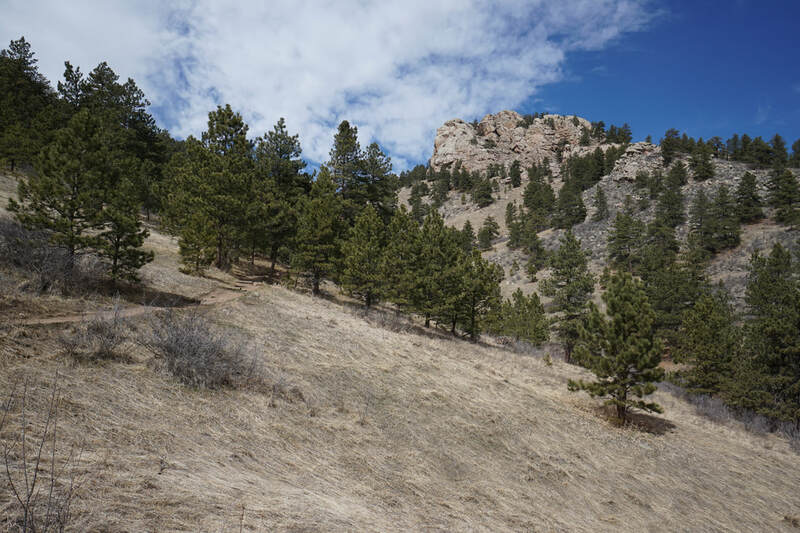 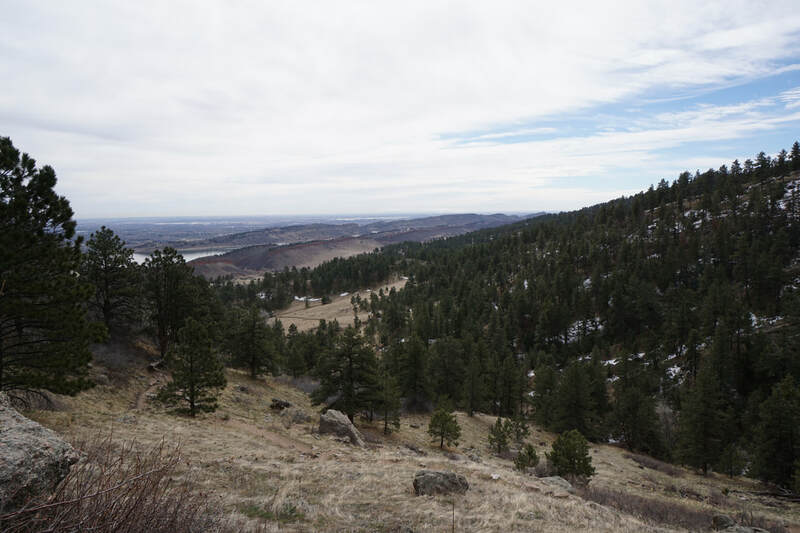 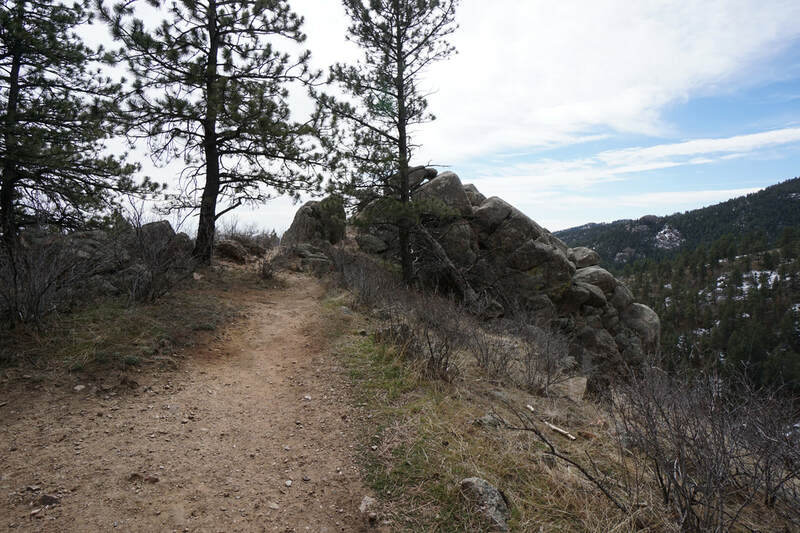 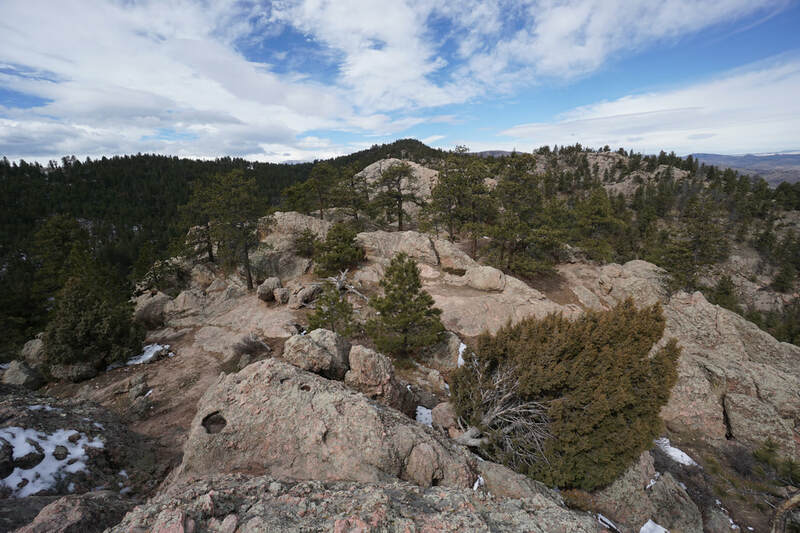 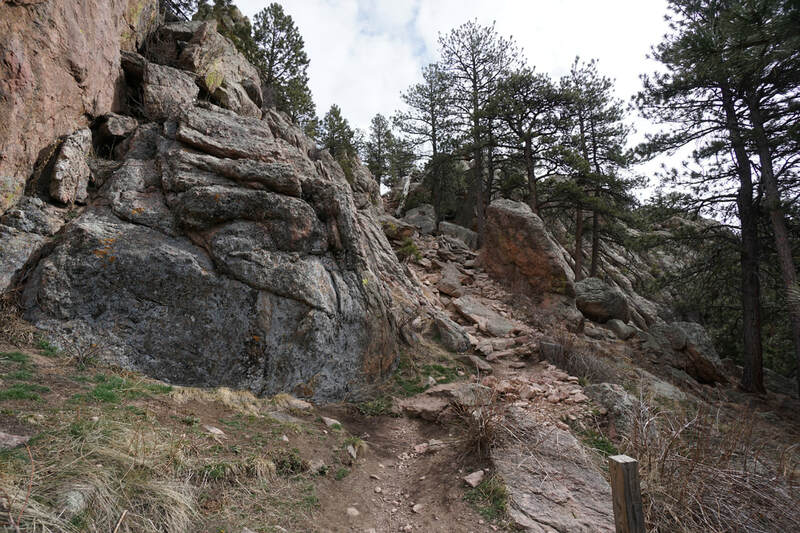 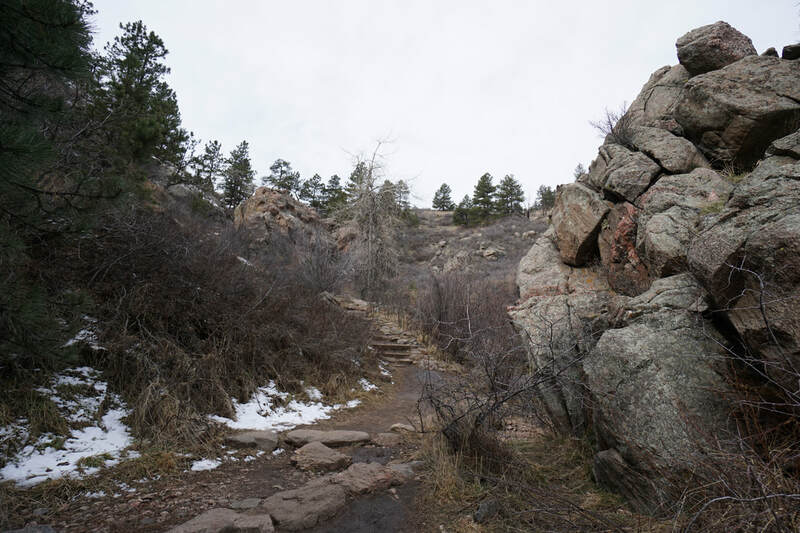 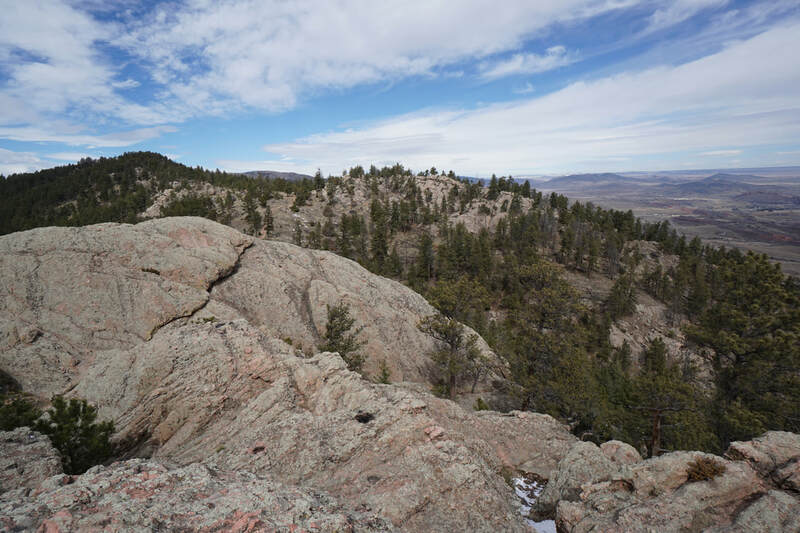 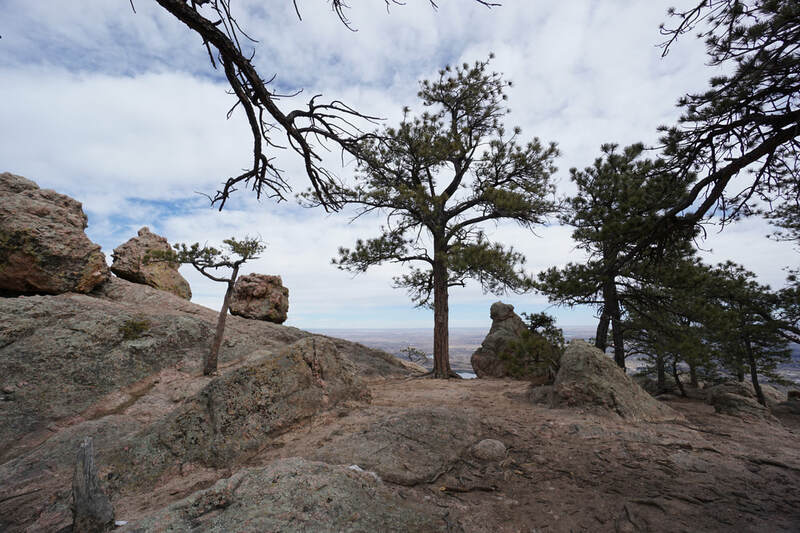 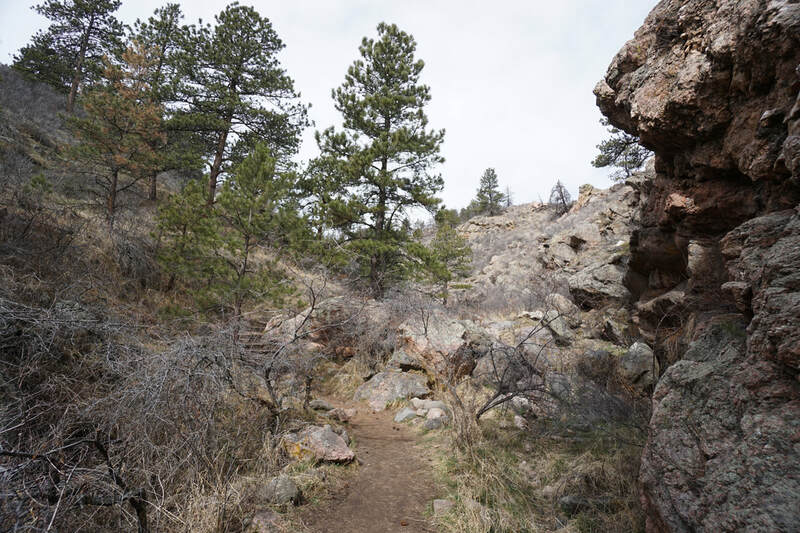 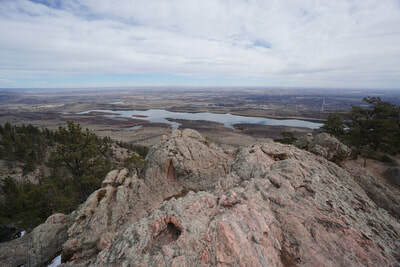 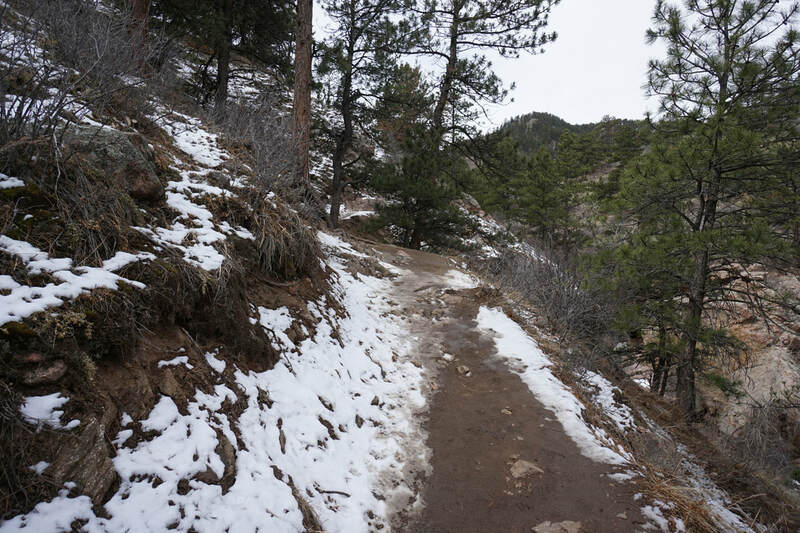 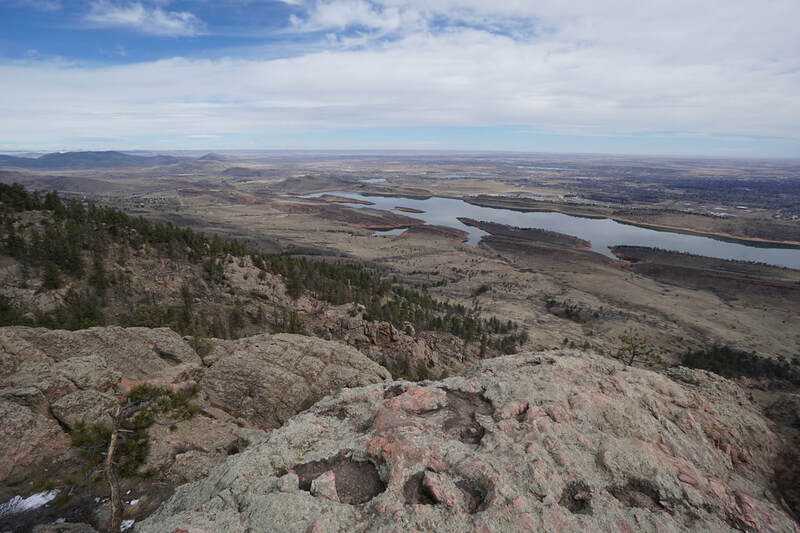 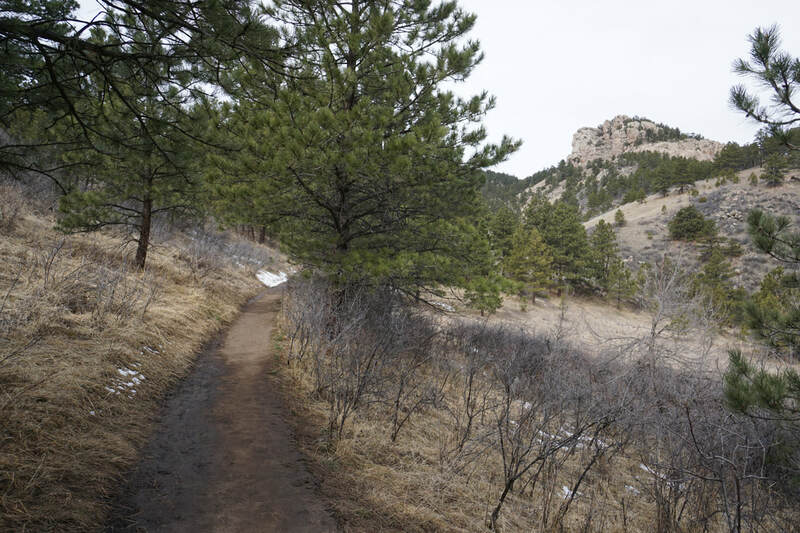 Arthur's Rock is one of the most popular hikes in the Fort Collins area and rightly so. 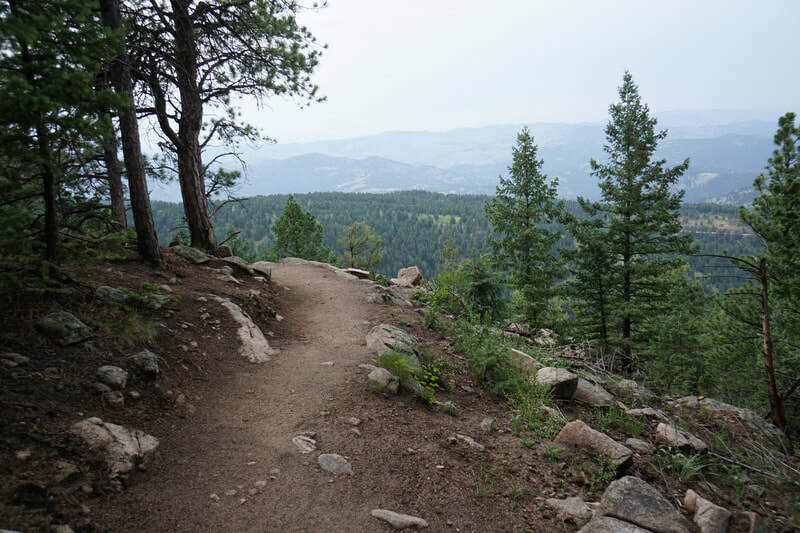 The hike is relatively short and the views are absolutely stunning. 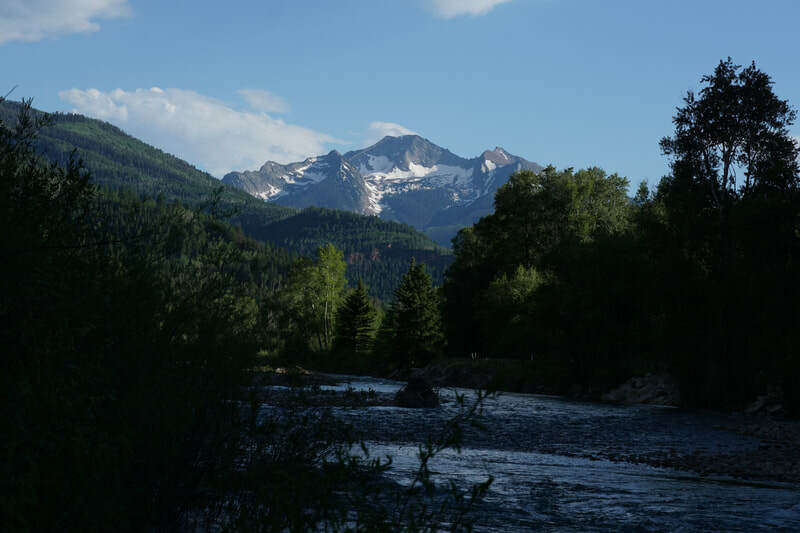 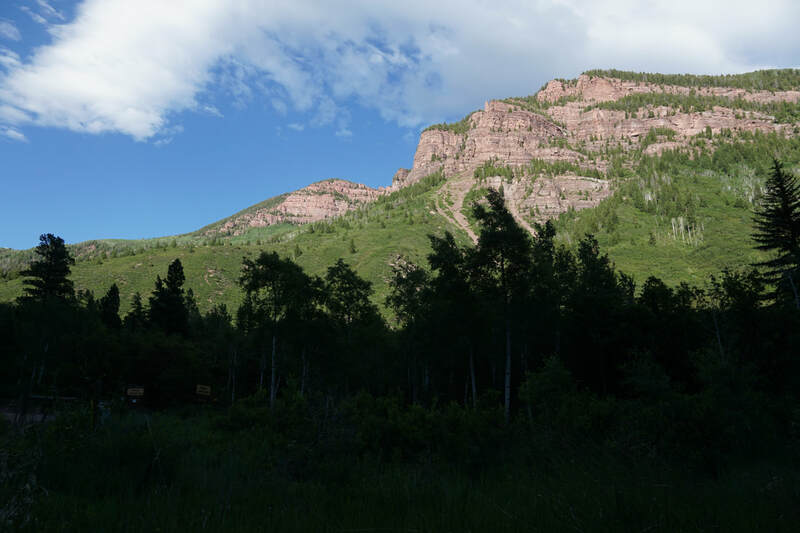 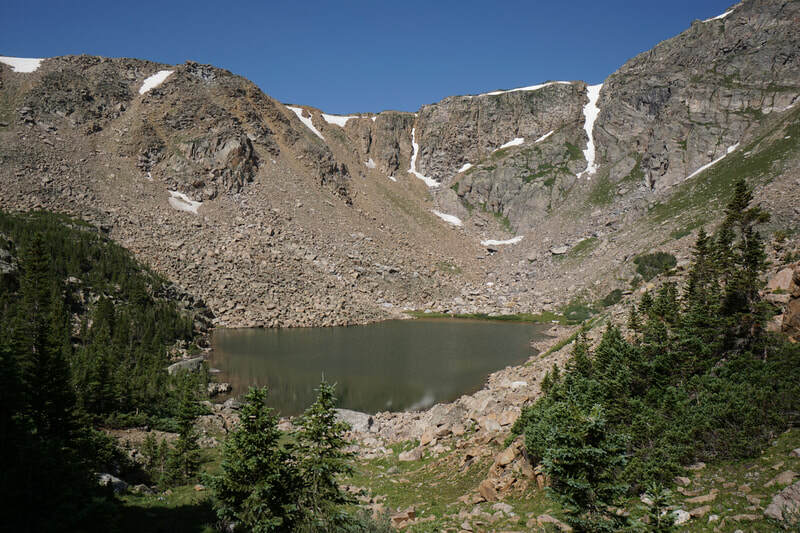 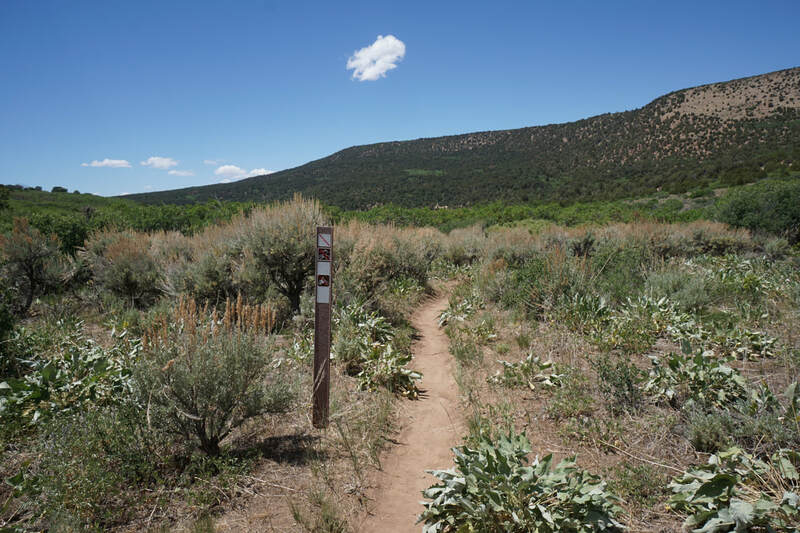 Even though the hike is only about 1.7 miles each way it gains more than 1,100 ft in elevation so it's not just an easy stroll through the park. 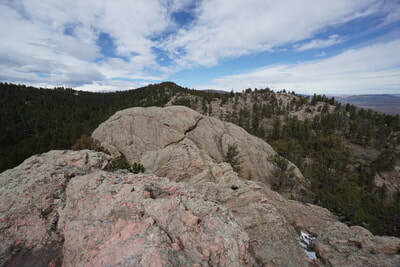 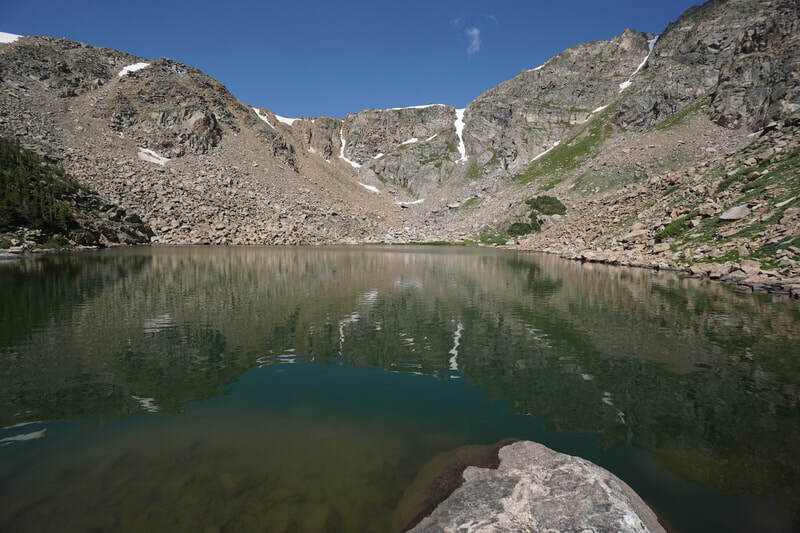 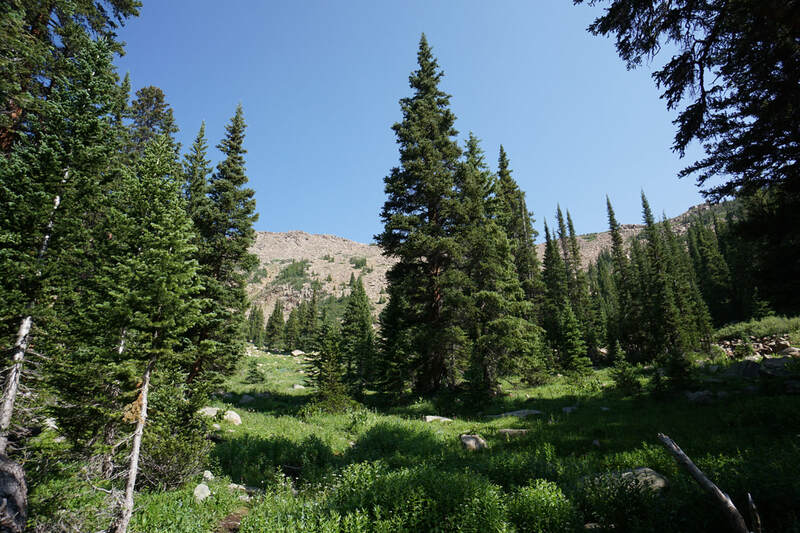 The views from the top of the trail are marvelous but for the best views you need to scramble up to the top of the mammoth boulders that make up the summit. 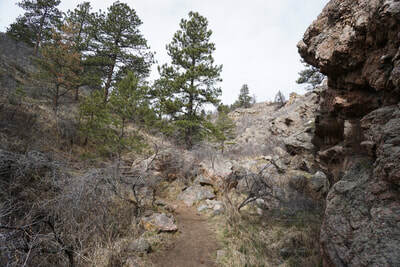 From the trailhead, you start hiking through a narrow rocky canyon with a seasonal waterfall at the end. 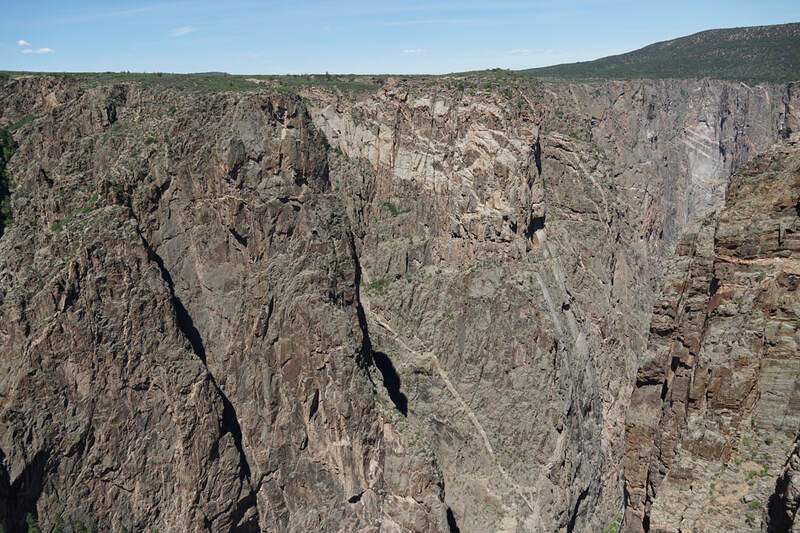 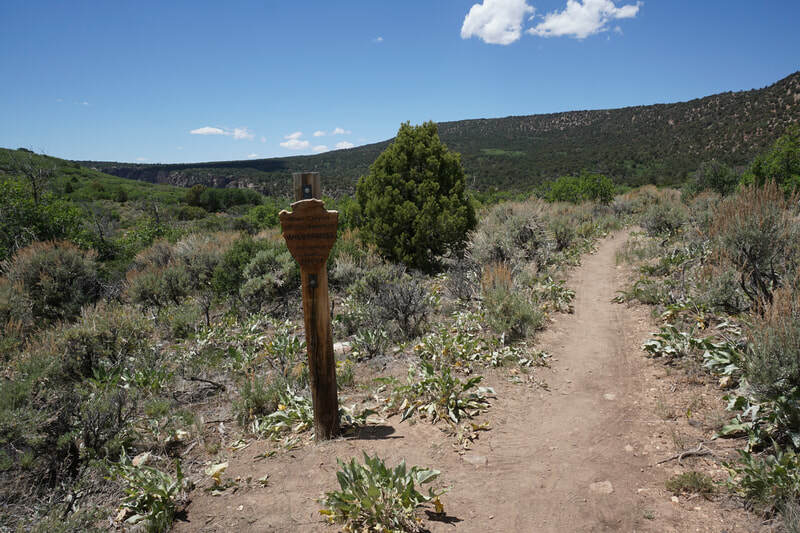 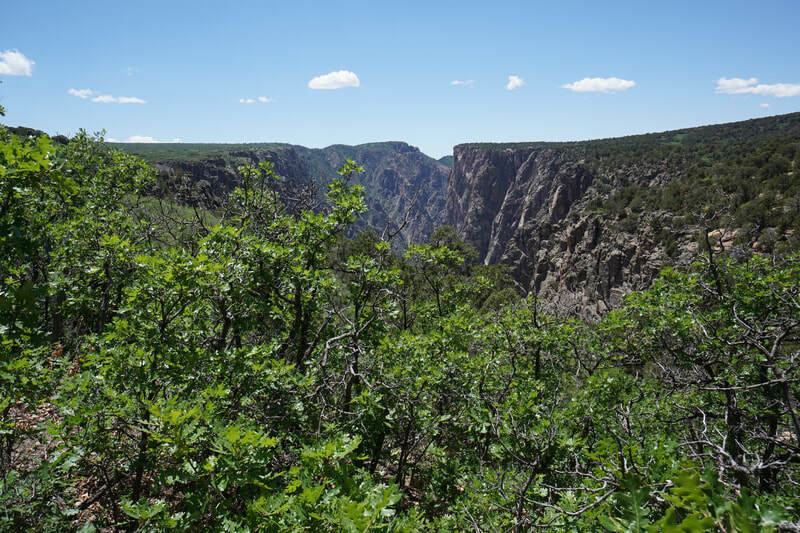 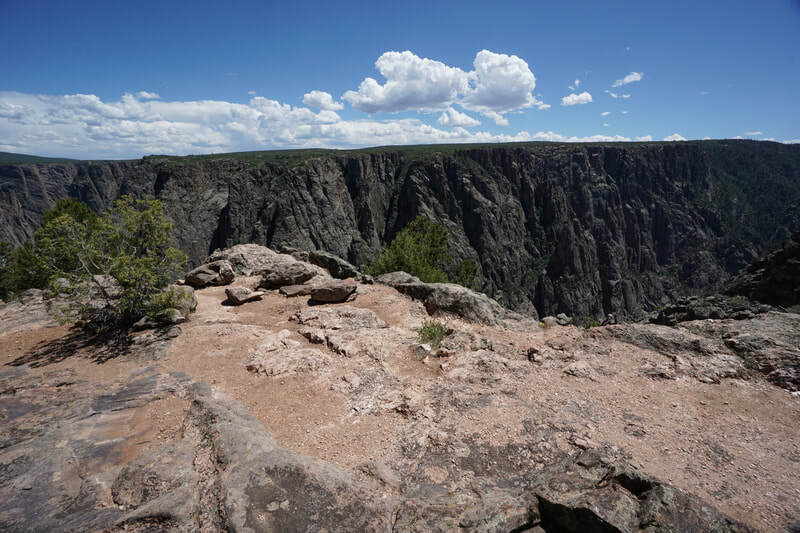 Climb up the canyon walls and your soon reach the junction with the Overlook Trail. Bear left following the signs to Arthur's Rock. 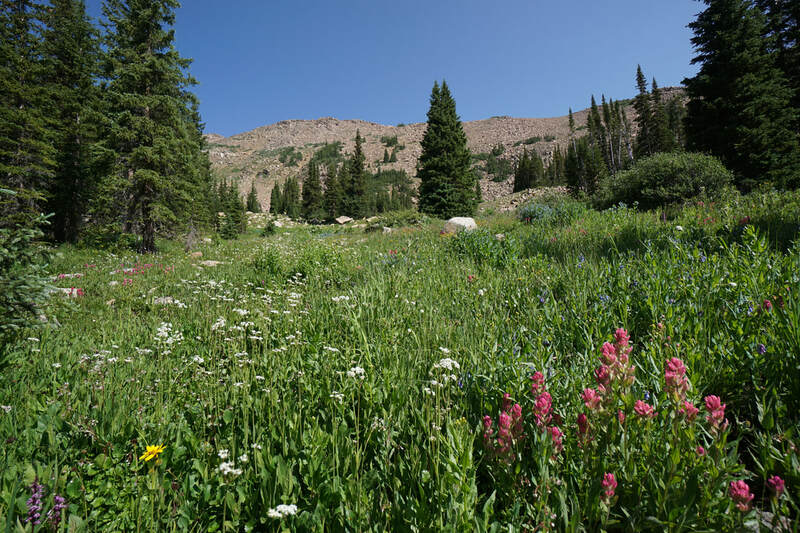 Soon you'll find yourself in a large clearing with great views of your destination. At the far end of the clearing is the junction for the Howard Trail. 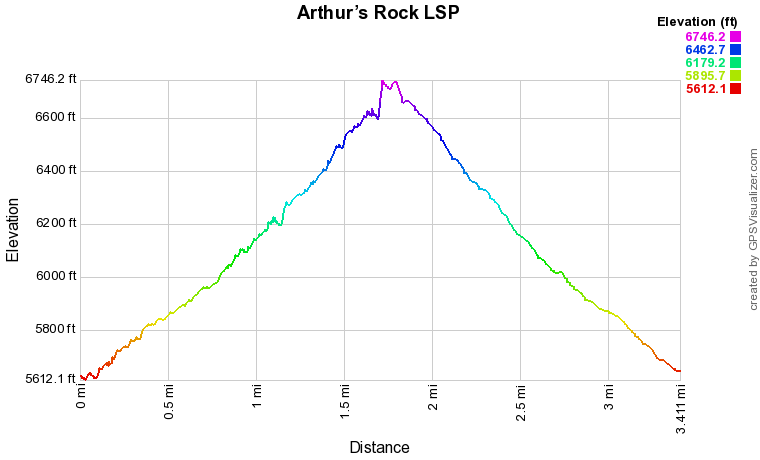 Stay on the trail to Arthur's Rock. 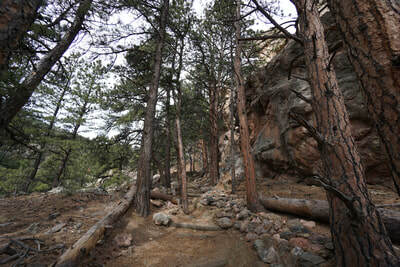 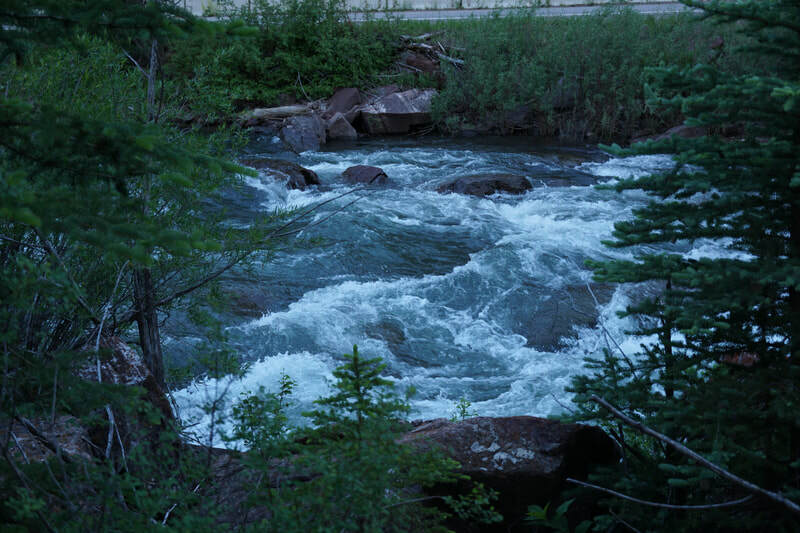 Cross through dense pine forest and start the switchbacks up to the base of Arthur's Rock. This section is where the views start to open and the sheer enormity of Arthur's Rock starts to become apparent. 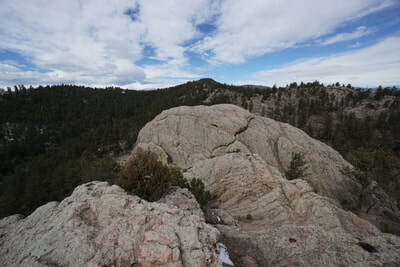 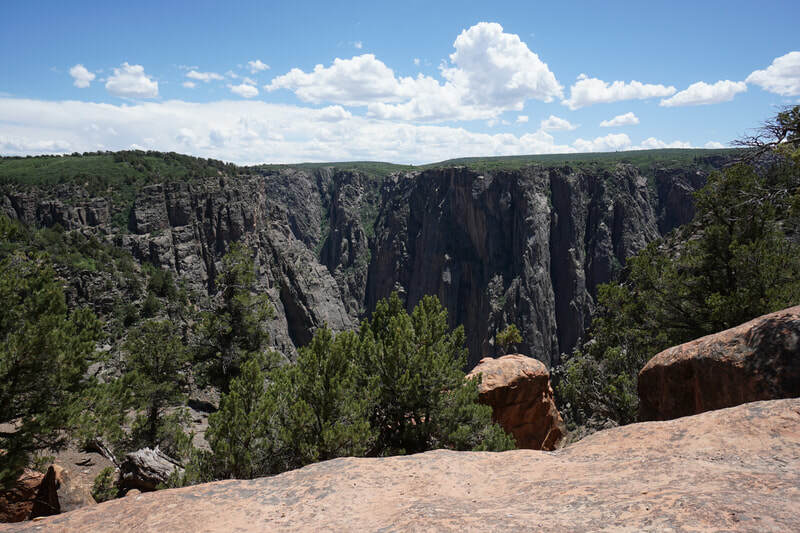 At the base of the Rock, a short spur trail takes you to a breathtaking overlook. 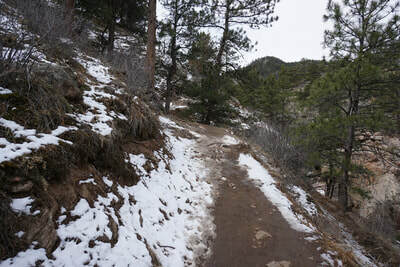 Continue to switchback up the slopes along the base of Arthur's Rock, now a cliffside to your right. 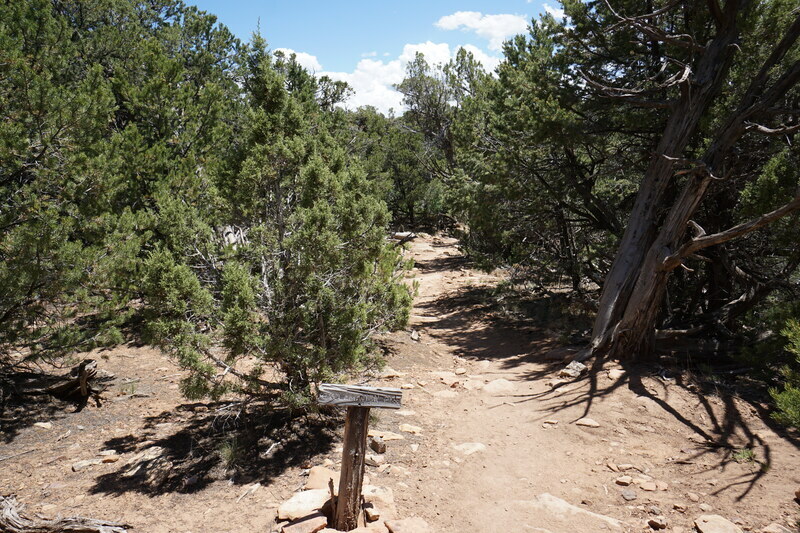 When you reach a rocky saddle you start the final leg of the trail. The trail ends at a narrow rocky chute with built-in steps that takes you up to the "summit" of Arthur's Rock. At the summit you'll be surrounded by boulders and rock towers. 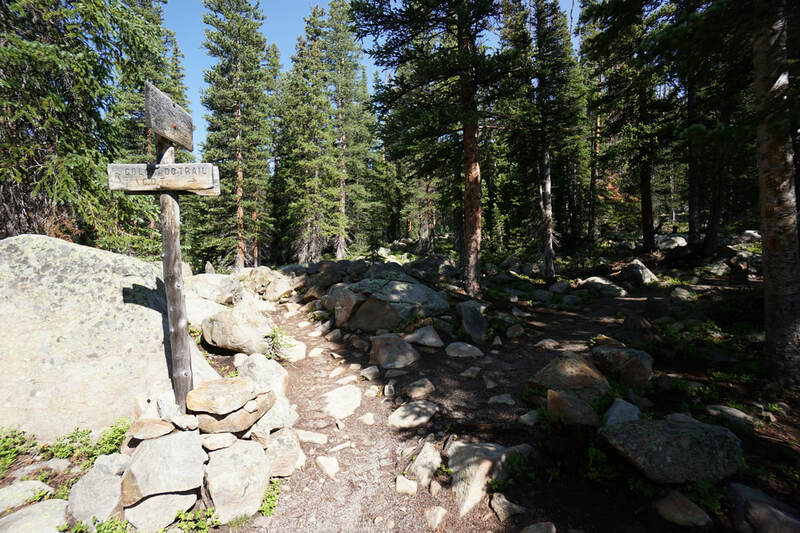 To reach the highest point of the summit, turn left (north) and start climbing. 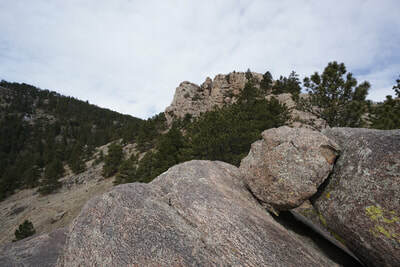 The climbing is not difficult (although the exposure might be too much for some). 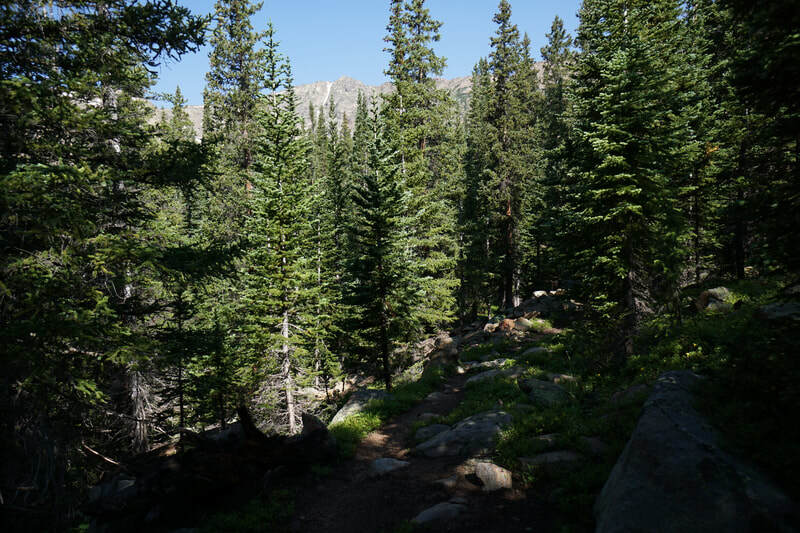 The views from here are stunning in every direction. 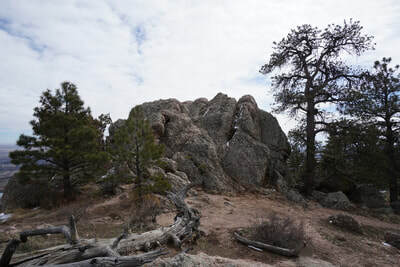 Another rock tower is located at the southern end of the summit and requires some scrambling to climb, again the views are tremendous. 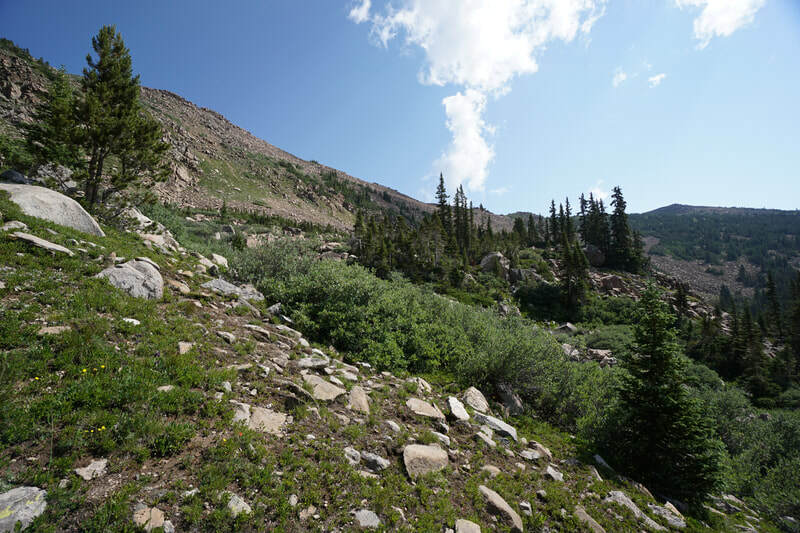 When you're satisfied with your summit explorations, you can either head back down the same way, or extend your trip by taking the Howard Trail that loops around and returns you to the clearing that passed on your way up.